are recognized with large signs on the gym wall. 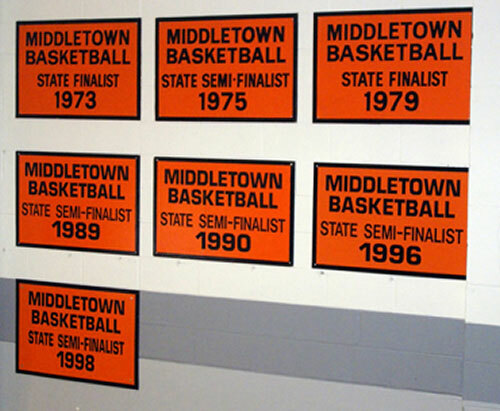 Seven MHS boys basketball teams have earned regional championships and advanced to the state tournament at the University of Maryland during the last 44 years. Middletown’s most recent trip to College Park was in 1998, when the Knights faced nationally-ranked Dunbar in a state semifinal contest.